The Samsung DROID Charge is our next family member whether we are ready for it or not, and with accessories showing up in stores today, an announcement making it official could be here any minute. As you can see from the shot above, it’ll definitely have a multimedia dock available at launch which we’re hoping takes advantage of its HDMI-out, unlike the HTC Thunderbolt. I know that many of you were quick to jump on the TBolt, but the screen (Super AMOLED Plus) on this Samsung might be worth at least a few minutes of your time. 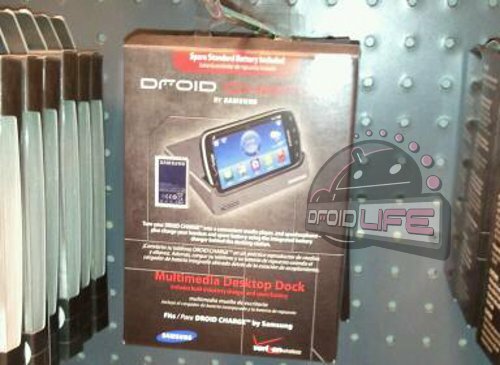 Here is our hands-on with the DROID Charge back at CES.